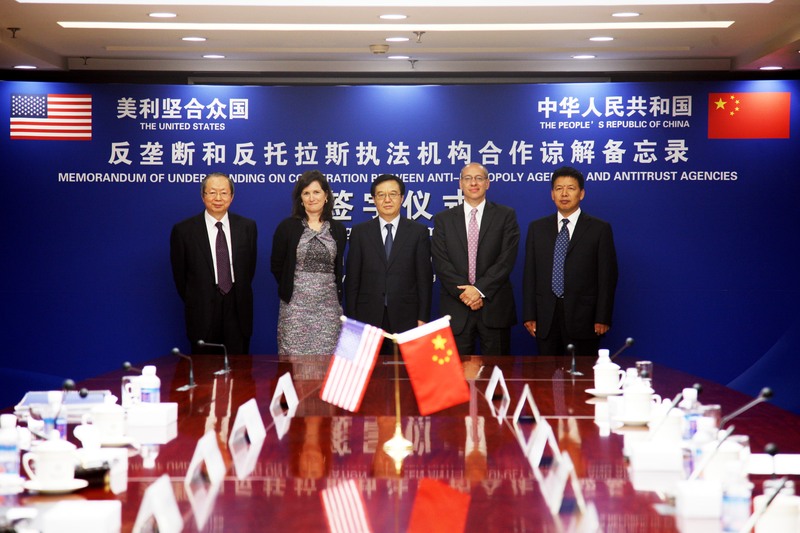 Federal Trade Commission Chairman Jon Leibowitz and Assistant Attorney General Christine Varney of the Department of Justice’s Antitrust Division today signed an antitrust memorandum of understanding (MOU) with China’s three antitrust agencies to promote communication and cooperation among the agencies in the two countries. The MOU also was signed by Gao Hucheng, China International Trade Representative and Vice Minister of the Ministry of Commerce (MOFCOM), Peng Sen, Vice Chairman of the National Development and Reform Commission (NDRC), and Zhong Youping, Vice Minister of the State Administration for Industry and Commerce (SAIC). Cooperation on specific cases or investigations, when in the investigating agencies’ common interest. The MOU will not change existing law in either country. China enacted its antimonopoly law in 2007, and the antimonopoly law took effect on August 1, 2008. 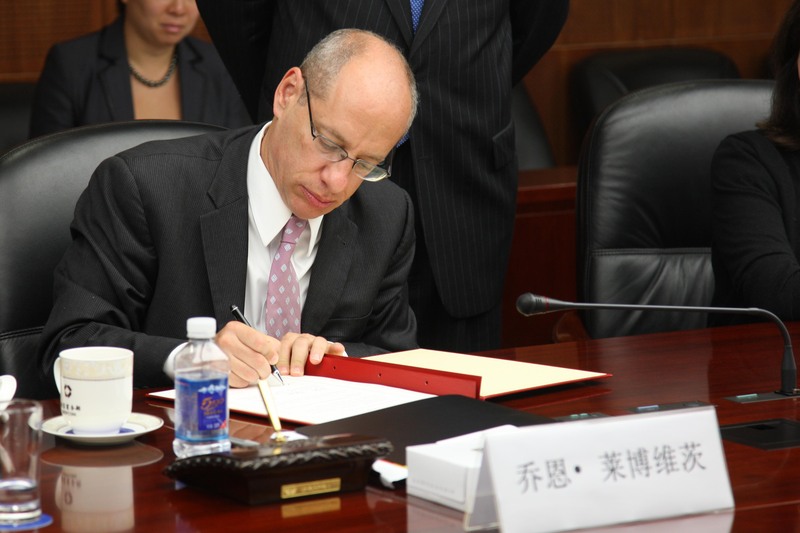 China’s antimonopoly law enforcement responsibility is divided among three agencies: MOFCOM, which handles review of mergers and acquisitions; NDRC, which enforces the law against price-related anticompetitive conduct; and SAIC, which is responsible for non-price-related anticompetitive conduct. The Commission vote authorizing Chairman Leibowitz to sign the MOU on behalf of the agency was 5-0. The FTC’s Bureau of Competition works with the Bureau of Economics to investigate alleged anticompetitive business practices and, when appropriate, recommends that the Commission take law enforcement action. To inform the Bureau about particular business practices, call 202-326-3300, send an e-mail to antitrust@ftc.gov, or write to the Office of Policy and Coordination, Room 394, Bureau of Competition, Federal Trade Commission, 600 Pennsylvania Ave, N.W., Washington, DC 20580. To learn more about the Bureau of Competition, read Competition Counts. Like the FTC on Facebook and follow us on Twitter.